What happens when the terminally ill are miraculously healed? How does the world react to that? What is its origin? What happens when the witnesses to these cures begin developing superpowers? 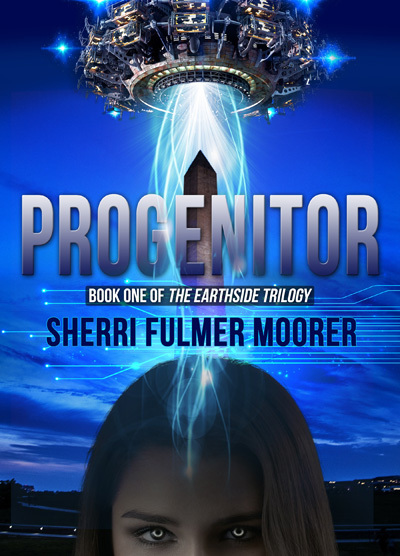 Progenitor, first in the Earthside Trilogy, attempts to answer these questions, with some intriguing twists and turns along the way, ranging through hospitals, Congress, and into interstellar space. For a story with a main plot device that is a staple in science fiction—sudden onset superpowers—Progenitor is surprisingly original. The protagonists are all well-established adults. It's nice to see this in a novel with sudden onset superpowers, since most feature characters in their teens to mid-twenties. he most original aspect of the book was its intense sense of family. Almost every main character is related. In most of this genre the characters are often loners, orphans, or lonely orphans. The family bonds are a major element of the plot, giving more weight to characters' concerns. Without this sense of family, this tale could have been another sterile sci-fi thriller. Family is also the major theme of the book, especially the fallout of family tragedy. For all the well-done technical discussions and political interplay, it's family that is the dominant motivation for characters. Anyone concerned about content should be aware that terminal illness, especially Alzheimer's and dementia, is very central. The book doesn't focus on the details, primarily looking it through the eyes of surviving family. There are a few non-graphic violent events. There are also a few missing words in some sentences. Progenitor is clearly a set up for the rest of the trilogy, with foreboding tension building all the way through to the last chapter. There are a lot of unanswered questions, which would be frustrating if it was a standalone book, but works very well here at the start of a series. As the book says: "I just want to know what's happening." Annaliese's smile faded. "As do we all." If you're looking for a brand new take on some old ideas, Progenitor is a thrilling read. I look forward to the sequel. Most writers start their bio with an explanation of who they are and why they write. I'll make this simple. My name is Sherri Fulmer Moorer. I write because I've always loved to do it, and ebooks gave me an opportunity to share those stories with readers that I just couldn't pass up. Plain and simple, I'm an opportunist. When the ebook revolution hit, I dove in because I wanted to be involved on the front end of this new wave. Who doesn't want to be part of a revolution? I write in a variety of genres because I can't be pigeon holed into one area, and I'm many other things in addition to being an author. 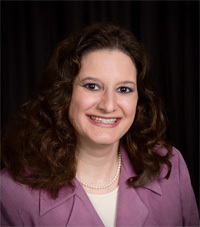 I work full time in professional licensing, which is great for keeping me in touch with people and reality and, in turn, inspires me to write more. I'm married and live in the woods with two parrots that keep our hearts, home, and lives filled with joy and silliness that most people find strange. I'm a book reviewer, social media rambler, and borderline introvert/extrovert who's kindred spirit, according to online quizzes, is somewhere between a Sith Inquisitor from Star Wars and Scooter from The Muppets.